In 1966, Marvin Miller, a labor economist with various unions, became the executive director of the Major League Baseball Players Association, serving in the position until 1982. No less an authority than Red Barber has said that Miller, along with Babe Ruth and Jackie Robinson, are among the “two or three most important men in baseball history.” That Miller is not yet a member of the Baseball Hall of Fame is a travesty, but that’s another story. Miller’s tenure included the first Collective Bargaining Agreement in 1968, which raised the annual minimum salary for players from $6,000 to an unheard-of $10,000. After various challenges to long-standing rules that tied players in perpetuity to their teams, Miller eventually negotiated a CBA that provided for free agency, but only to players with six years of service. This is how the procedure works in Major League Baseball. First, it applies to disputes over salary and nothing else. The player and the team each submit a proposed salary for the coming year to a three-person arbitration panel. They do so blindly, that is, without benefit of knowing the other side’s figure. The figures are then disclosed. The hearing before the panel is tightly constricted, both in terms of time (90 minutes per side) and by delineated criteria. The unique and defining feature of the procedure is that the panel must opt for one figure or the other, with no ability to go in between or outside the two submitted proposals. The charge to the arbitration panel is to select the most reasonable of the two salary proposals, with no written opinion. Thus, the procedure compels each side to put forward what it deems a reasonable figure. Since salary information of free agents is well publicized (thereby creating appropriate benchmarks), the two proposals are frequently not far apart, and settlement is promoted. Indeed, approximately 80 percent settles before or after the figures are published but prior to the hearing. For a number of years, I have encouraged the adoption of baseball arbitration procedures to resolve some disputes that come before me. Perhaps due to unfamiliarity with the procedure, my entreaties were never successful — until a few months ago. With the kind permission of counsel, I have been authorized to describe (albeit vaguely) this recent case. I was asked to mediate a claim arising from a dispute about the meaning of a termination clause in a contract for personal services. The amount at issue was relatively modest, and the parties had already invested significant time before appearing at my office for mediation. Even though both sides (and counsel) wanted the case to end, the mediation was unsuccessful, in part because of a dispute about potential testimony of a key witness. After careful consideration of a number of ways forward, such as the familiar “mediator’s proposal,” the parties opted for baseball arbitration, primarily because they knew it would end the case. Before proceeding further, the parties requested that I subpoena the key witness to testify, which I did. Shortly thereafter, and consistent with a negotiated scheduled, each party submitted its recommended award, accompanied by a brief supporting document. As with Major League Baseball, the submissions were blind to each other, then published by me. I waited about a week (as previously agreed) to give the parties an opportunity to discuss settlement if they so chose. No settlement ensued. After oral argument (by phone), I waited an additional week and then issued my award. As is typical in my arbitration practice, I wrote a “Reasoned Opinion” so that the parties would understand my rationale, although that is certainly not a requirement of the process and would not happen under Major League Baseball rules. Based on subsequent feedback with counsel, I believe all parties felt reasonably satisfied, although obviously one was happier than the other (a factor that causes many mediators to not offer arbitration services). In this case, however, I think the process was well suited to the needs of the parties and particularly the compelling need, mutually felt, to put the dispute behind them. As a result of the experience, I have tried to educate myself about the process and to consider, in a more organized way, how and when principles of baseball arbitration might be applied. Some of the literature in the field suggests that it is best applied to one-issue disputes, as is true in Major League Baseball. In the context of a tort or contract case, the most typical situation would be one in which there is little or no dispute about liability, but the parties disagree about damages. I am not convinced, however, that its use needs to be so confined. As trial lawyers, we are thoroughly accustomed to combining our analyses of liability and damages, frequently entailing both factual and legal disputes, and making settlement recommendations based on the process. In a hypothetical baseball arbitration of such a case, the two sides, and the arbitrator, may well balance liability and damage figures in a different way, but there is no reason why an arbitrator should not be able to comfortably arrive at a conclusion that one side’s proposal was more reasonable than the other. Assuming the proposals are in the form of dollars, the procedure should be able to work for a wide range of disputes, spanning simple or complex tort litigation, business disputes of all kinds and even probate litigation. As with most forms of ADR, flexibility is the hallmark. The parties can proceed with limited discovery, or no discovery. They can present the case on an agreed statement of facts, or on some agreed quantum of evidence. They can even agree on a version (humorously referred to as “night baseball”) in which the written proposals are sealed but not revealed to the arbitrator. The arbitrator then issues a decision, the proposals are unsealed, and whichever is closest to the arbitrator’s award carries the day. A frequently voiced complaint about commercial arbitration is that it has morphed into something too closely resembling the overblown and overpriced litigation that it was intended to replace. Any form of arbitration, at least theoretically, allows the participants to fashion their own set of rules and limitations (unless bound by some previous arbitration clause). However, baseball arbitration is particularly well attuned to a more streamlined, less time-intensive procedure. As was true in my case described above, the parties know their case will end and under circumstances in which they can effectively control the costs. To my mind, the most significant advantage of baseball arbitration derives from its unique feature. Since the arbitrator is directed to choose the more reasonable of two figures, it forces each side to be reasonable, at least by their own reckoning. Unlike conventional arbitration, where arbitrators may be tempted to “split the baby,” thus driving the parties to extreme positions, baseball arbitration does just the opposite. The experience of baseball salary arbitration demonstrates, quite convincingly, that the rules of the game do, in fact, drive settlement-inducing behavior. While there are other settlement drivers in MLB salary disputes, such as effect on clubhouse “chemistry,” the procedure itself is the most important. In going through the process myself, I confronted an issue that seems to not have been addressed in the literature, perhaps because it is not a problem in baseball salary arbitration itself. The issue can best be understood by a hypothetical. Assume a contract case in which the arbitrator would evaluate liability as 60/40 in favor of the plaintiff, with full damages of $500,000. Traditionally, one would say that the mathematical settlement value is $300,000. If the defendant’s proposed figure was $250,000 and the plaintiff’s was $400,000, which does the arbitrator choose? If based on “settlement value,” he would select the defendant’s proposal. However, if he were acting as a “pure arbitrator,” he could conclude that the plaintiff satisfied his burden of proof on liability and the award on that basis would be $500,000, so he selects the plaintiff’s figure. While there is probably no “right answer” to this conundrum — and most arbitrators would probably think in terms of settlement value — the question should perhaps be addressed with the parties at the outset. On the basis of my (limited) experience, I have long believed that baseball arbitration has much to recommend it as a cost-efficient way to effect final resolution. It is a suggestion I will continue to raise in appropriate cases. 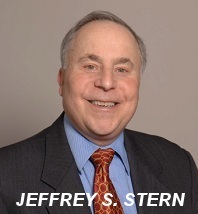 Jeffrey S. Stern practices at Sugarman, Rogers, Barshak & Cohen in Boston.